Shaista Lodhi is well known Pakistani morning show host. She is a doctor by profession. She used to host morning show on GEO TV but she was sent arrest warrants in blasphemy case. Then, she disappeared for a long time and flew to Dubai. 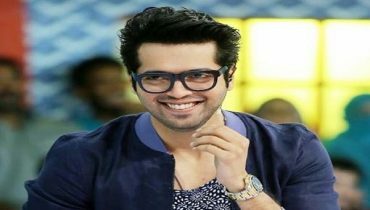 She came back to Pakistan, got married for the second time to her cousin and then started hosting morning show ‘Sitaray Ki Subha’ on Hum Sitaray. 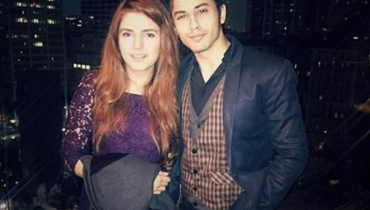 Now a days, she is hosting a show ‘Mehman Nawaz’ on See TV which is a Turkish channel. Shaista Lodhi is going to make her acting debut. 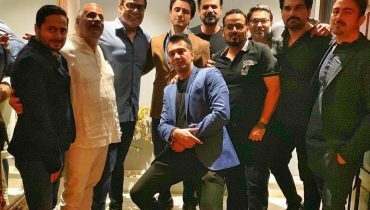 Shaista Lodhi’s upcoming drama is ‘Khawab Nagar’ which is produced by Fahad Mustafa and Dr. Ali Kazmi and directed by Syed Atif Hussain. Shaista Lodhi will be playing a lead role. “There were so many questions crossing my mind at the time I accepted the offer: Will I be able to do it? Will I be able to do justice to it? Will I be successful in delivering the way my director and producer want me to?” she said. 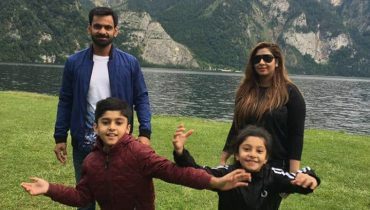 Muhammad Hafeez And His Family In Austria!